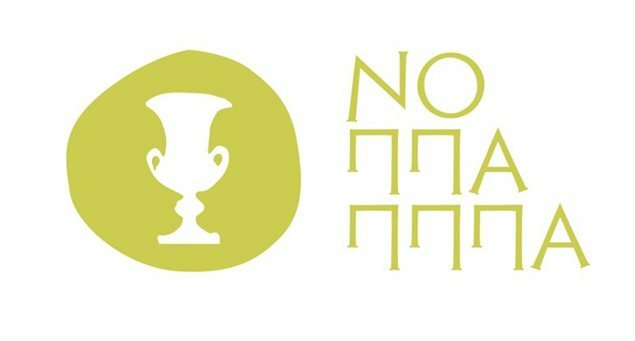 Musical, cultural and sporting events are included in the 2017 summer events program of The Legal Entity of Athletics, Culture, Environment, Education, Social Welfare and Solidarity for the municipality of Naxos and Small Cyclades (NOPPAPPPA). The events begin on Monday July 3rd and conclude in September. Apart from the cultural and sporting events, the NOPPAPPPA program includes summer music workshops. Music & dancing event of the Cultural Association “LALITADES”, with unforgettable songs from the Greek Cinema. Sunday, July 1, 21.00, Hora, Main Promenade. Demonstration of traditional dances from all over Greece. July 4 – September 19, 21:00, Theatrical Museum “I. Kambanellis”. Movie of Wednesday. From the stage to the screen. In co-operation with the Cinema Club of Naxos. Presentation of a classic movie every Wednesday. Follow-up discussion will be held. Proposal by Katerina Polychronopoulou and Katerina Halkou. Friday, July 6, 21:00, Melanes. Theatrical Performance “The luck of Annousa” from the Theatrical Group of Kythnos. Music: Christos Leontis, Directed by: Giorgis Venetoulias. Cast: Flora Garderi, Giorgis Venetoulias, Alexandros Moraitis, Sofia Filippa, Aggelos Markou, Nikos Gonidis, Christos Kardamis, Thanasis Dallas, Eleftheria Nikitopoulou, Giorgos Zampetas, Eleni Floki, Panagiotis Koumparos. Saturday July 7, 19:00, Moni (Recreation centre in Eleolithos hotel). Cultural Night “Stone on Stone”. A high- level artistic meeting in which poetry, literature, painting, music and theatre will be the cornerstone of a cultural night, based on the dry stones of Naxos. Karousos Kostas, President of the Company of the Greek Litterateurs, Poet and Visual Artist. Veroutis Konstantinos: Painter, Art Conservator (works of art will be exhibited). Fylaktos Nikolaos: Composer, Conductor, Pianist. Floros Vasilis: Member of the Board of Directors of the Greek National Association of Litterateurs, Poet, Director. Lykouropoulos Manolis: Promote and enhance mountainous Naxos. Kapiri Eleni: Marble Sculpture, Visual Artist, Scholar (works of art which reflect the continuation of the Cycladic Civilation, will be exhibited). Apostolakou Filia: Painter (works of art will be exhibited on Naxian Marble). Greek shadow theatre – “Karagiozis as a scientist”. Tuesday July 10, 20:00 Korono. Greek shadow theatre – “Karagiozis as a musician”. Thursday, July 12, 19.30, Municipal Theatre “Iakovos Kambanellis”. “Nikodimeia 2018”. Music and philological event in honour of the local celebrating Saint Nikodimos. Co-organized with the Association of the Friends of Byzantine Music and Tradition of Naxos “Agios Nikodimos”. Demonstration of traditional dances from the dancing groups of the associations of Naxos. Singing: Eleni Legaki and Eirini Legaki Manola. Lute: Vaggelis Koukoularis. Violin: Kostas Houzouris. Guitar: Nikos Gkoufas. Crust: Stelios Pashalis. 4th Festival Koronos, Naxos, “Matthaios Mantzios”. Demonstration of traditional dances, during the cultural festival. Co-organized with the Dancing Group of Students. Friday, July 20, 21:00, Theatrical Museum “I. Kambanellis”. Friday August 24, 21:00, Theatrical Museum “I. Kambanellis”. Readings of theatrical plays of Modern Greek theatre by the Team of the Theatrical Museum Iakovos Kambanellis. An acquaintance with theatrical texts and follow up- discussion regarding their thematic axes. Directed by: Katerina Polychronopoulou. The historian and theatrologist, Katerina Halkou, will take part in the second presentation. Saturday, July 21, 20:30, Atho-Theatre of Filoti, “Emmanouil Psarras”. Music and dancing performance with dancing groups of several islands. Co-organised with the Region of the South Aegean Islands and the Athletic – Educational Association of Filoti, “Zeus”. Saturday, July 21 to Monday, July 23, 21:00 Theatrical Museum “I. Kambanellis”. Musicians from Athens, Naxos and abroad, perform plays from Romantic Age and nowadays. -Saturday July 21, “Chopin and romantic piano”. Plays by Chopin, Brahms, Scriabin and Rachmaninoff. Performed by: Christos Gkionas- Kontos, Maria Kompoti, Ioanna Stavrou. -Sunday July 22, “Summer duets”. Plays for piano, viola and cello. Performed by: Maria Kompoti, Anna Danielides, Ioanna Stavrou, piano, KathleenOsborne-Kalogera, viola, ClaraAsuaje, cello. -Monday July 23, “Shubertiade”. Pianos plays and songs by Franz Shubert. Performed by: Thalia Moutopoulou, soprano, Anna Danielides & Ivi Mousoura 4-hand piano, Alexis Diamant, piano, Maria Kompoti, piano. Ioanna Stavrou, piano, KathleenOsborne-Kalogera, viola, ClaraAsuaje, cello. Tuesday July 24, “A night with piano plays”. Plays for piano, viola and cello and vocals from 19th and 20th century. Performed by: Thalia Moutopoulou, soprano, Anna Danielides & Ivi Mousoura 4-hand piano, Christos Gkionas- Kontos, piano, Maria Kompoti, piano, Ioanna Stavrou, piano, KathleenOsborne-Kalogera, viola, ClaraAsuaje, cello. Co-organized with the Cultural Association of Aperathos, “Ta Fanaria”. Thursday, July 26, 21:00, Hora, Main Promenade. Friday, July 27, 21:00, Apeiranthos. Puppetry “Princess Rozelina and the frog”. An impressive performance with twelve puppets and ten marionettes, one puppet from Muppet show and Rozelina, one special marionette from Japan. Contributors: Scenario adaptation – lyrics – puppets – settings – direction: Sofia Louka. Co-organized with the Parental Association of Elementary School and Kindergarten of Aperathos. Friday, July 27, 21:00, Ammiti Galini Beach of Naxos. “Full Moon at Ammiti”. A night with live music and songs, mainly from Greek art music repertoire. Co-organized with the Cultural Embellishing Association of Galini, Panagia Ataliotissa”. Musicians: Michael Serafeim, guitar. Pavlos Diamantopoulos, bass. Dionysis Agalianos, trumpet. Dimitris Andreadis, keyboard. Antonis Koulouris, drums. Sunday, July 29, 11:30, Moni. Monday, July 30, 20:00, Eggares. “The nightingales sing at Platsa”. A special performance for children with music games, fairy tales and acquaintance with musical instruments. The performance encourages the children to play violin, piano, flute, guitar and contrabass. Sunday, July 29, 20:00, Theatrical Museum “I. Kambanellis”. “Takis and the small box”. A short story about the Recycling. A performance for children, till 7 years old, with techniques, music and kinetic exercises, which highlights the importance of recycling. The setting and the puppets of the show has been made by the children of the Day Centre “Anoihti Agkalia” (Open Hug) with the assistance of the scene painter, Sandra Stefanidou. Monday, July 30, 20:00, , Theatrical Museum “I. Kambanellis”. Book presentation “Ano – Seeking the sky”, by Lili Daferera- Vasilaki. Friday, August 3, 19:00, Vrysi, Danakos. Poetry races, full of music, dancing and local delicacies, offered to any participant. Co-organized with the Association of Danakos, Naxos, “Zoodohos Pigi”. Friday, August 3, 21:00, Galini. Saturday, August 4, 21:00, Filoti. Tuesday, August 7, 21:00, Municipal Theatre “Iakovos Kambanellis”. “It’s just News. Let it be”. Social comedy. Nowadays, the unemployment, the financial crisis and the misery dominate in Greece. In the light of the great difficulties, humor and emotion might be the best way to deal with these unfortunate situations, while some people still insist on panicking. Cast: Aris Tsapis, Anastasis Pantousi, Giannis Fragkiskos, Katerina Gavalla. Movement editing: Augoustinos Koumoulos, Aggelina Paraskevaidi. Texts: Lefteris Elefheriou, Konstantina Klapsinou, Marios Nterntes, Giorgos Feidas. Saturday August 4, 21:00, square of Glinado. Book presentation of the professor of Folklore, in Democritus University of Thrace, Manolis Sergis with title “The Temple of Transformation of the Savior at Glinado, Naxos”. Organized by: Progressive Group of Glinado, Naxos. Sunday, August 5, 20:00, Tripodes – Agios Nektarios. Saturday, August 25, 20:00, Theatrical Museum “I. Kambanellis”. A 2-hour program presents old games full of fantasy and imagination that we used to play in neighbourhoods and courtyards. Program manager: Georgia Paraskeva (actress/ playwright). Thursday, August 9, 21:00, Catholic Metropolitan Church, Castle of Naxos. Co-organized with the Catholic Archdiocese of Naxos – Tinos. Friday, August 10, 20:00, Ex- School of Ursulines. Book presentation with title “Modern History of Naxos 1800-2000” by the philologist, ex-congressman, Nikos Levogiannis. Saturday, August 11, 21:00, Square of Glinado. Demonstration of traditional dances from dancing groups of the associations of Naxos and the dancing group of Metsoveion National Technical University of Athens. Singing: Leta Korre and Polichronis Korres with their band. Thursday, August 16, 21:00, Square of Glinado. «Glinado honours its fallen in the battlefields, with an emphasis in ManolisZacharatos case». Organized by Naxos Glinado Progressive Group. Thursday, August 17, 20:00, courtyard of the Holy Church of Theotokos, Flourous neighborhood. Co-organized with the Apeiranthian Cultural Association “Ta Fanaria”. Saturday, August 18, 21:00, Hora – Main Promenade. Sunday, August 19, 11.30, Municipal Theater “Iakovos Kambanelis”. The amazing concert of the Summer Music Workshops where the children and their teachers present the pieces that they worked in summer along with other surprises. Sunday, August 19, 21:00, Man. Psarras Athletics Stadium of Filoti. «Feel like Greek, abroad and feel like Foreigner in Greece». A thrilling performance that narrates the story of an immigrant. It is a reference to Greek society and foreignlands, to peoples’ relations, to life itself! Actors: Lefteris Eleftheriou, Giorgos Souxes. Contributors: Direction & Theatrical Adaptation: Giorgos Souxes. Tuesday, August 21, 21:00, Tripodes – Main square. Music-dancing event on the etymology of village names. The attendees will learn the origin of these names through the dance sections of the Association. Co-organized with the Educational and Cultural Association of Tripodes Youth. Sunday, August 26, 21: 00, Iria. “At Iria under a full moon”. Co-organized with the Greek Ministry of Cultural and Sports. Thursday, August 30, to Sunday, September 2. Damarionas – Andronikio Cultural Center. 6th Panhellenic Conference: «Naxos through the centuries». (The detailed program will be announced shortly). Sunday, September 2, 21:00, Hora – Main Promenade. Music night with the chorus “The Voice of the Macedonians”. Friday, September 21 and Saturday, September 22, Municipal Theater “IakovosKambanelis”. Co-organized with the Naxos Biomedical Sciences Organization (NOMB). August 3rd- 6th, 19:00-22:00, Near the Elementary School of Sagri. 19:00-22:00: Elementary School of Sagri. Participates: The Union of Santorini Cooperatives SANTO WINES. Presentation of the Sagri dance group under the auspices of the PNOES club. 19:00: Elementary School of Sagri. Stroll in the dance tradition of the Cyclades. Participating: Santorini’s International dancing scheme of the Municipality of Thira. Presentation and teaching director Stamatina Tsarkou, Dance groups from Naxos. Speech on medical issues by the group“PROODOS”. 18:00-20:00: Elementary School of Sagri. Stroll through the History… Stroll to the sites of Kato Sagri. 21:30: Monastery of Agios Eleftherios. «The Emperor’s new clothes» και «The jacket that baas». Theatrical performance by the book readers club O MikrosPrigipas (The Young Prince) under the auspices of the PNOES club. INTERNATIONAL MUSIC MEETINGS, AUGUST 2018. ALEA III – Naxos Summer Meetings, 2018. Friday, August 24, 21:00. Main Square of Chalki. «Guitar extravaganza» 20 Guitarists present an unusual repertoireContributors: Giannis Petridis and Alexandra. Christodemou, guitar duet, Chrysostomos Kalogridakis, Dimitris Makris, Nikos Baloyiannis, Athanasios Petropoulos. Youth Orchestra of 14 Guitars under the direction of Alexandra Christodemou and Michel Cardin. Co-organized with the Cultural Association of Tragaia. Music, dance, theater, poetry and visual arts meet in Castro for a three-day trip with a variety of activities in multiple venues. Activities for children. Lost Treasure Junior.For small explorers. Lost Treasure Hunt for aspiring treasurers. Co-organized: Catholic Archdiocese Naxos Tinos. Co-organizedwith the Cultural Association of Koufonisia «Keros». Friday, June 29 and Saturday, June 30. Co-organized with the Association of Schninoussa. Monday August 27, Tuesday August 28 and Wednesday August 29. Three-day events as part of the celebration of St. John the Baptist (concerts, traditional games, other events). Co-organized with the Municipal Community of Iraklia. «Feast of the Cross (Stavros)» . «Feast of Ayia Sofia» Mersini. Co-organized wit hthe Cultural–Enviromental Association of Donoussa «POSEIDON». The creative writing workshop is organized for the third year in a row. For those who have already participated and a new beginning for those who want to discover their abilities in writing a play. With the playwright Nina Rapis. (Duration 9 hours) Starts on September 1st to September 3rd 2018. Seminar of physical expression with the choreographer Anastasia Georgalas. (Duration 6 hours).August 9, 10 and 11. «From play to theatrical perfomance». Creative activity for children from 5 to 12 years of age.On the occasion of Iakovos Kambanellis’ Theatrical play “Unnamed Fairytale” we organize our own performance, through theatrical play and improvisation techniques. From the role play we tell our story, we build our stage space and our costumes. With the actor, theatrical writer and animated playwright Georgia Paraskeva (Every Tuesday 11.00 – 14.00.At the conclusion of the workshop the participating children will showcase their creations at an exhibition organized by them. From Tuesday, July 10,, 2018 to September 4, 2018). «Theatrical workshop for teenagers and adults». The story of Odysseus through the works of IakovosKambanelis.With the director Katerina Polychronopoulou. (Every Tuesday starting on July 10th through September 4th at 20.00-22.00. At the end of the workshop the works will be presented in the form of theatrical proportions. Directed by Alexandros Kalogeras. First acquaintance with instruments and music for young people / Room music for people already playing an instrument. Lectured by experienced professors from Greece and abroad. Lectures on your choice of instrument. Music listening and introduction to musical theory. Participation in musical ensembles (orchestra / choir). Participation in concerts – Available instruments for practicing. Starts on July 22 at Vintsi. July 16- July 29, School of Ursulines. Summer School of Naxos 2018 on “Cultural Management, Education and Local Development”. The 2018 Summer School of Naxos 2018 (INNOVIS 2018) is addressed at undergraduate and postgraduate students, PhD candidates, young professionals, researchers and Post Docs. The language of the seminars will be in Greek. Those who attend and successfully complete the Summer School of Naxos 2018 will receive an official certificate from the University of the Aegean, Department of Geography with the ECTS system and their papers will be evaluated for publication submission. Free registration is applied. In cooperation with the Department of Geography of the Aegean University, in the framework of the Foundation’s summer schools. July 19 – July 25, School of Ursulines. «Οld and Middle English summer school». In cooperation with the National and Kapodistrian University of Athens. August 27 – August 31, Elementary School of Bible. For students of secondary and high school. The participation for students from Naxos will be free. Next : Naxos in the international TV Network of Nautical Channel!